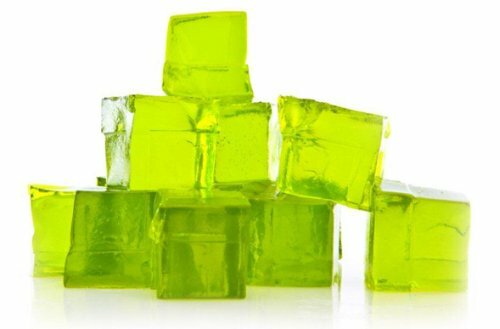 One of the ways in which the field of medical diagnostics could be developing might look as edible electronics Jell-O, produced with the help of a 3-D printer. This technology has become possible thanks to the work of one of Australian scientists, who has long been working on creating different types of sensors and electronic devices that are made of edible materials such as gelatin. ‘My technology realized in the future will enable people’s literally swallowing a medical diagnostic device,’ – Marc het Panhuis, Professor of Chemistry from the University of Wollongong, Australia, claims. ‘This electronic device, having fulfilled its function, will dissolve without a trace and be excreted naturally without doing any harm to the patient’. The group of Professor het Panhuis is developing different hydrogel substances based on widespread edible materials. Simultaneously, sensors and electronic components are being designed, and they are made out of the very materials that can be produced with the help of a 3-D printer. The main problem of hydrogels is that they are flexible and nondurable, yet the scientists have estimated that using two different polymers that form both lateral and medial molecular bonds can make hydrogel a lot more stable, which will enable its maintaining the initial form for a long time. One of such binding polymers is genipin, which is used as an anti-inflammatory agent and is taken out of the fruits of the plant called gardenia. Apart from that, scientists use gelatin, a thickening agent that is very widely used in confectionary industry. To form a bigger number of intermolecular bonds, salts are added to hydrogels, including common cooking salt. Since hydrogels contain up to 97.5 per cent of water, these materials are able to conduct electric current. Yet it is possible to organize channels with higher electric conductibility in their volume by adding salts rich with sodium ions. Initial components of the hydrogel, heated and liquid, are in special containers of a 3-D printer. Yet after the printer has printed a 3-D object out of this hydrogel, the contents are mixed, polymerized, and put into a fridge for further storage. Using materials with known electronic properties in the process of 3-D printing, one can make different electronic components in the volume of the hydrogel, which will have a considerably high level of complexity. However, the biggest problem is coming up with ways of obtaining information that has been collected by the sensors. Yet the scientists hope that during the next seven years, which is the time that has already received necessary funding, they will successfully solve all the problems, including the issue of making hydrogel devices small enough for being swallowed without substantial deformation. In prospect, the scientists are going to develop soft hydrogel materials and electronic devices that can be used in robotics and in technologies of the so-called 4-D printing, that is, when an object printed by a 3-D printer can change its form while performing its main function.